"Michael and his team made sanity out of a very messy divorce. He exuded common sense and was cost conscious, without sacrificing on the things that mattered most to my family. The court appearances are kept to a minimum and when he does appear, his arguments were sound and he spoke well to the judge. It seems impossible but even his sense of humor eased me over some big bumps. I would recommend him highly!" "Michael Maguire was the perfect attorney for me!!! I found Michael on Yelp. The beginning of our mutual endeavor was hard because my divorce was pretty messy and I came to them with unclear vision of what I want and what my ex wants and how we get to a place where we both agree. But through Michael and his associate Deborah Tilton, with her kind heart, superb work ethic and skills, a lot of work and due diligence was made. They found resolutions without going to court and the divorce agreement was achieved. Deborah actually does guided mediation for you to achieve the perfect resolution with your ex partner. They were way more than fair about what they charged me and I felt like they were looking at the long term benefit for me and my son. They were fair, caring, loving, real, sincere and everything they did made sense. Michael and Deborah, thank you so much for being assisting in such a challenging matter. I know that you worked with me so diligently even through my stubbornness and my blindness and were always there to show me the right way. Thank you for ending a two year divorce in about 3 months from the day you picked my case. Thank you for everything." "Michael Maguire may well be the best divorce attorney in Beverly Hills! Mr. Maguire brings some exceptional qualities to his work that one doesn't often find in an attorney, having previous successful careers in finance and as a Tony award winner on Broadway before his own life experience led him to help others going through divorce. He and Deborah Tilton are both responsive and sensitive to their clients' needs, yet skillful and highly effective as legal advocates. A dynamic communicator and someone I would trust to take good care of people close to me, I give Michael Maguire my highest recommendation." "Divorce is one of the most difficult human experiences that can bring out the worst in even the best of people. I wish that all divorce lawyers shared Michael's perspective, his strategy, and his deep understanding of what it takes to get their clients through this hardship unscathed. Many lawyers know the law-but Michael knows what makes people tick, when to fight and when to mediate, and he always keeps his focus of the bigger picture of the whole family unit that is being impacted by this transition. I have never before crossed paths with an attorney so personally dedicated to truly helping his clients get their lives back on course. He is forthcoming, devoted, and has a strong moral compass. Beyond that, Michael is a natural leader-someone that you can trust to guide you through the battle of a difficult divorce with the utmost confidence. 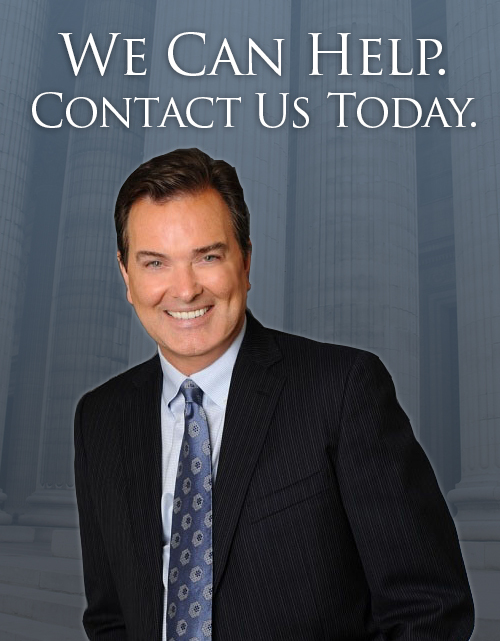 I recommend his services to anyone I know that is in need of a family law attorney." "Michael Maguire is a powerful advocate who really cares about his clients and their needs. He was responsive, kept me informed and was caring and respectful about what I was going through. He explored options and make me feel like my case was important to him. He was effective in negotiating on my behalf and intelligent and practical in his approach. I have worked with other attorneys and my experience with Mr. Maguire was by far the best. " "What I admired about working with Michael Maguire was his ability to take command of meetings and calls and focus on the core issues. Michael navigated everyone through difficult issues and made me feel safe and well represented. His command and focus was matched by his knowledge of the law itself. Michael is articulate, kind, and took the time to get to know me and my situation personally. I would happily refer him to anyone who needs help with a family law issue." "I am so glad that I worked with Michael. He understood my situation and immediately devised and implemented a successful strategy that enabled me to prevail. I also appreciated his attentiveness and the way that he was able to keep me focused on the big picture without becoming distracted with minor issues. He was also very aware of trying to keep the costs down. It also seemed like he has a much better understanding of family law than other lawyers and used that advantage for my benefit." "Michael came on board a week before I was to be deposed and was completely ready and familiar with the important parts of my case. During the deposition, he broke off with my wife's attorneys and negotiated a settlement which was a significant improvement in where negotiations had been. The result was that an expensive and highly stressful process was brought to a successful close. I was very grateful. Michael is articulate, prepared, clear, and always direct about time and costs." "Michael is professional, knowledgeable, punctual, and an excellent attorney. He is always on top of the case. Watching him prepare for my spouse's deposition was like watching a master general ready his troops for battle. When I had emergencies after hours he always responded with a call or text message often within minutes instructing me as to the best course of action. He always advised me about the costs and alternatives available in order to achieve the best outcome for the least cost." "He helped in many ways not only as a great lawyer, but as a friend." Please contact us at (310) 275-4444 for an initial consultation.